Small, cozy and surprisingly stunning. Isle of Eigg is considered as one of the most beautiful Isle of Hebridean islands, west coast of Scotland. Sometimes it is even described as ‘the emerald of the Inner Hebrides’. Why is Isle of Eigg so unique? Reasons for its diversity are many: through its culture, history and archeological finds from the Jurassic era up to beautiful nature with panoramic views. However, the main reason for its uniqueness goes back to 2008, when Eigg Electric provided 24h power from renewable resources for the first time. Since then, 95% of energy used by residents comes from clean, renewable sources of water, sun and wind. The ecological activities were noticed by the public in 2010, when they won the prestigious Ashden gold award for energy efficiency as well as Big Green Challenge award from the National Endowment for the Arts and Sciences. 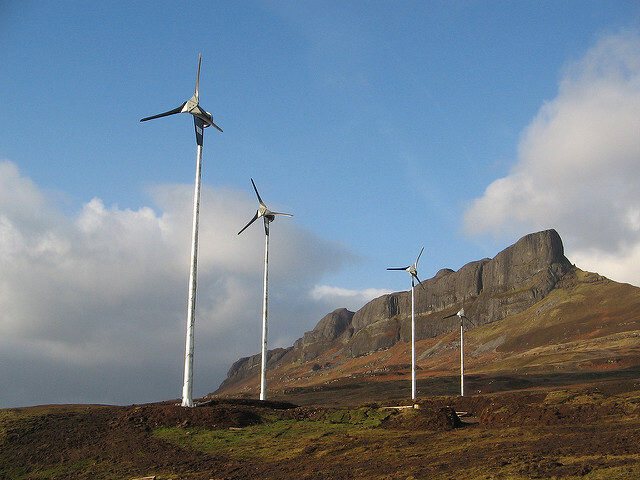 Thenceforth, Isle of Eigg has been hailed as a model for sustainable energy of the future. If you are a nature lover, you will love the Isle of Eigg. It is a diverse island with coastal land, unimproved farmlands, native woodland, willow and hazel scrub, raised bog and moorland. You can observe otters hunting along the coastline, seals, dolphins, whales and variety of birds above you. The Isle has 212 species of birds, what is quite an impressive number for 15 square miles’ large island with less than 100 inhabitants. The Isle is also called “isle of flowers” by naturalists. Its plant-life includes 500 higher plant species and bryophyte list numbering more than 300 species of which over 20 are national rarities. 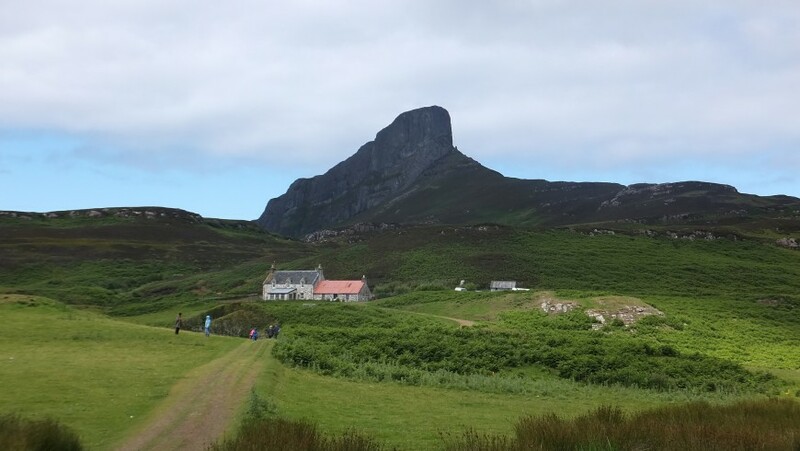 If you want to visit the Isle of Eigg for its wide variety of spring flowers you should visit it during May and June, which is also the best period for bird watching. On the other hand, from July to September is a great period for observing marine mammals. One of the dominants of Isle of Eigg is the Sgurr. It is a massive mile long pitchstone which is a glory of the whole island and the main natural attraction. 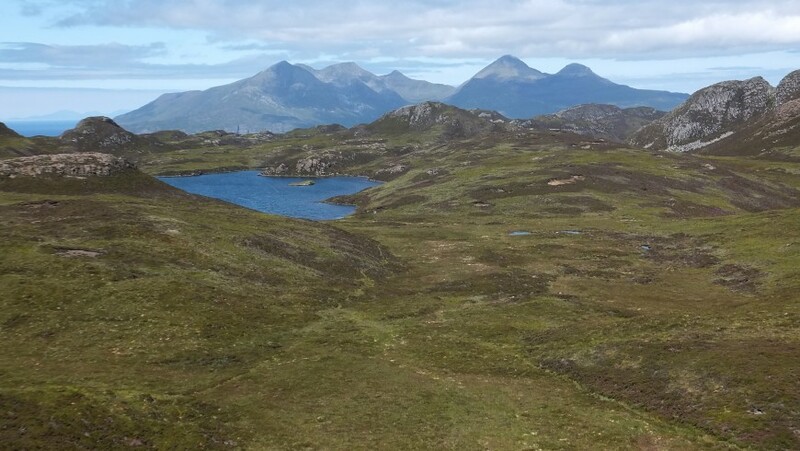 You can hire a bike or just walk on the ridge of the Sgurr, which is also one of three wildlife reserves in the island. Take a guided tour with the Scottish Wildlife trust ranger. During spring and summer months, every Wednesday at 11:00 you can take a guided tour around the island, suitable for people of all ages and backgrounds. Locals will happily help you to find the best solution for your adventure. If it is renting of bike, kayak, boat or guide, they will make sure you do not miss anything. Join Selkie Explorers on their day, weekend or weeklong sailing trips, where you can learn how to weigh anchor, hoist the mainsail and helm. Eigg Explorers will take for a short walk to the Caves, Gruilin or Kildonanto or half-day long walks to the Sgurr. 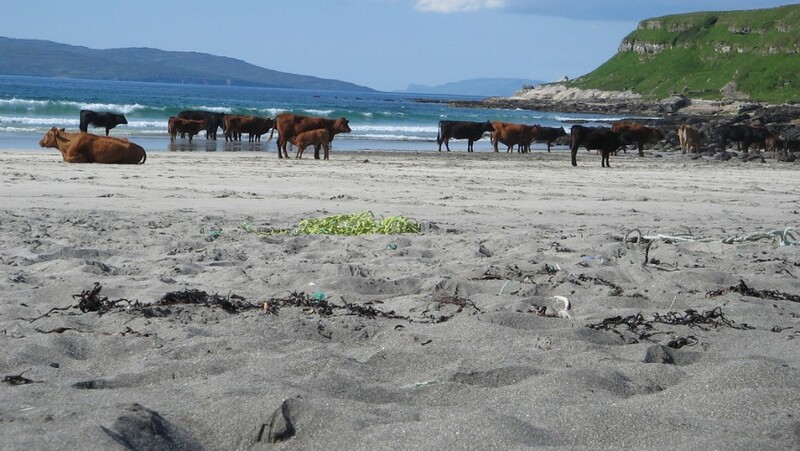 While being on Isle of Eigg, it is a perfect time to participate in on-hand activities. Either it is basket making, gardening, textile art, sailing & kayaking or yoga- there are plenty of courses waiting for you. The Isle of Eigg organizes various workshops, classes or concerts for its visitors. If you want to travel to the Isle of Eigg, you have to catch a ferry. Caledonian Macbrayne operates the Small Isles ferry service from Mallaig to Eigg, Arisaig Marine can take you to the island from Arisaig in the period of the late April to September. For the more authentic experience, sailing yacht Selkie can take you from mainland or any other island or boat accessible location. Be aware of the fact that visitors cannot take their cars on the island and there is no public transport as well. However, Isle of Eigg is a very small island and everything is in walking distance. If you don’t want to walk, you can always hire a bike there. There is variety of accommodation offers– either you want to try cottage, yurt, caravan, hotel, hostel or boat. Laig Caravan has a perfect location, right at the bottom of croft where the land meets the sea. It is great for couples or two people, who love waking up with a sound of the waves. For more comfortable accommodation, you can try Lageorna offering Bed & Breakfast, king-sized bed made by an island craftsmen and restaurant for evening meals. Our last tip is Laig Organics yurt, in the heart of the island. It is sustainable and organic accommodation in a yurt, with the possibility of using the bathroom in host´s house. The Isle of Eigg is a perfect choice if you love to explore ecological tourism destination. Due to its lovely panoramic views, fauna & flora and variety of different workshops, courses and events it is suitable to visit it all year round. As not many tourists know about this island, it is quiet and peaceful alternative to enjoy your vacation. Have you ever been to Isle of Eigg? Share your experiences, tips & tricks with Ecobnb community below in the comment section! Nikola - soon to be a bachelor graduate in International Hospitality Management - was born in Slovakia, but currently is living and studying in Denmark. She is young, energetic and in love with nature, ecology & sustainable travelling. She believes in better future and therefore trying to pursue her ecological state of mind not only in her personal, but in proffesional life as well. This entry was posted in journeys and tagged bicycle, car free holidays, ecotourism, natural parks, nature, respect for the environment, responsible tourism, responsible travel, Scotland, sea, slow travel, sustainable tourism, UK, walking, wildlife. Bookmark the permalink.